Juniper can change the look of a landscape by adding an evergreen element to the design, but sometimes that isn’t the look you want. Often junipers are left where they are to avoid the hassle of removing them, and frequently new homeowners find them to be the unwelcome house guest left behind in the yard. If you catch a juniper early, you may be able to transplant it, but if the juniper has been growing in the same location for years, it will be a bear to remove and killing the plant is usually the only way to remove it. Cut back the majority of growth from the plant using a chainsaw for bush varieties or lopping pruners if you are removing a creeping juniper. You can completely remove most of the branches, but leave a few at 6 to 8 inches long to give you “handles” to work with. Use a pickaxe or Maddox knife to bust up the ground 1 to 2 feet in diameter around the base of the juniper. The roots can be as dense and thick as the branches, so be prepared for hitting what feels like solid ground. Cut through the roots to sever them from the plant. If the ground is particularly dense with roots and a regular pickaxe isn’t making much of a dent, you may need to switch to a Dutchman’s hoe, or over-sized pickaxe, which should break through harder areas. Rock the juniper back and forth to test how loose it is becoming in the soil. The process of digging at the soil may take a long time, so regular rocking will not only tell you how loose it is, but also where the plant is still securely in the ground. Use a shovel once the plant seems very loose; jam the head of the shovel underneath the bulk of the root ball. Force the handle of the shovel down like a lever to lift the juniper up, while someone else pulls, hopefully bringing the juniper out of the ground. Continue to work and repeat steps two through five until the juniper is out, and discard it appropriately. The process of removing the juniper can take hours depending on the plant and how well established it is. Be sure to wear sufficient protective material such as gloves, hats, boots and safety glasses, as well as keep plenty of drinking water on hand to avoid dehydration. 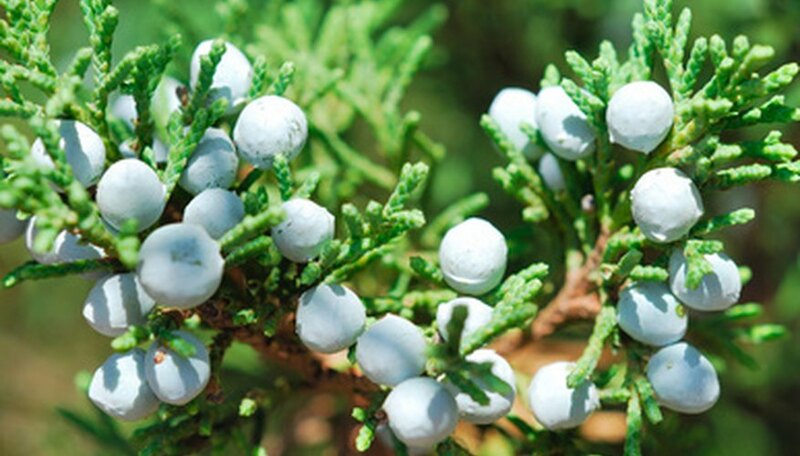 While many people will tell you to wet the soil around the juniper thoroughly and attach it to a truck with a chain to yank the plant out, this can be damaging to not only your vehicle, but also your yard. Use extreme caution if you choose this method.